Packing for a trip can be a chaotic experience even under the best of circumstances. You might have to run to the store for some last-minute purchasing, you could misplace something, or you might forget to pack something very vital to your travel. Packing for your trip becomes even more important for patients who are traveling for a medical procedure such as weight loss surgery in Mexico. Let us take a detailed look at all the essential items you need to pack for your bariatric surgery in Mexico. 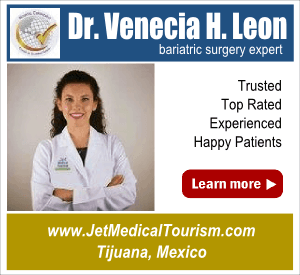 Jet Medical Tourism has compiled this checklist covering the experiences and feedback from hundreds of actual weight loss tourists to Tijuana, Nuevo Laredo, Cancun or other places in Mexico. This is without a doubt the first thing you should pack for your forthcoming trip for bariatric surgery in Mexico. This is particularly important if you are diabetic, have high blood pressure, pulmonary disease, heart disease, or suffer from any other chronic illness or condition along with obesity. It is a good idea to have multiple copies of all your medical records – right from prescriptions to lab tests – in different bags and suitcases. 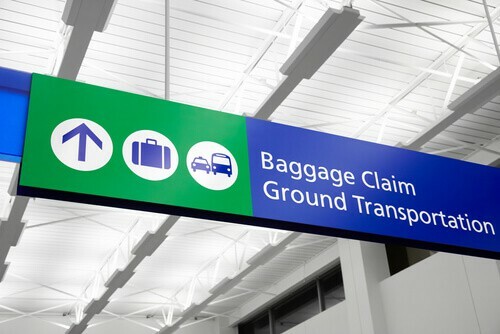 This way, even if some of your baggage is lost or delayed, you will still have all the medical papers you need. You should also have your primary care physician’s contact information with you. Does your health insurance policy cover some of the costs associated with the procedure? This is the first thing you need to find out if you are planning to undergo weight loss surgery in Mexico. You can contact your insurance provider in the US or Canada, who will be able to tell you what your policy covers, what it does not. 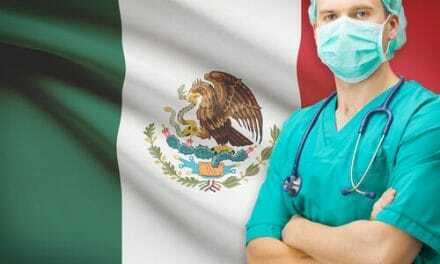 You may also seek advice from your Mexico medical tourism facilitator whether or not you need travel insurance. In many cases, travel insurance might cover the non-essential costs associated with your medical travel to Mexico. For example, travel insurance could cover the expenses related to canceled or delayed flights, road closures, loss or theft of luggage, medical evacuation, and more. If you are a platinum credit card holder, you may try to make full use of the benefits offered by the credit card company. You can contact the company to find out what kind of amenities and benefits are offered free of cost for international travelers. 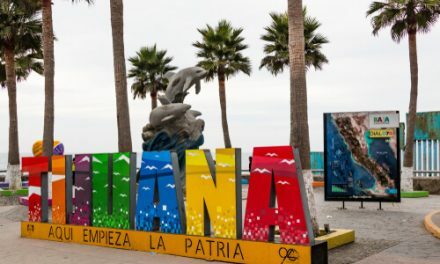 If you are planning to go on a sightseeing excursion to calm your nerves before or after your bariatric surgery in Mexico – and if you plan to self-drive – you may need an international driving permit (IDP) along with your driver’s license. You can apply for an IDP with the American Automobile Association (AAA) or the American Automobile Touring Alliance (AATA). A freshly issued IDP remains valid for a year or until the expiration of your driver’s license – whichever is sooner. Before leaving for Mexico, you should also check if your automobile insurance covers your rental car. You can convert your dollars into pesos at a bank or an online currency exchange center. You should do it at least a few days or weeks in advance so that you can lock in the best exchange rate. It may not be the best idea to exchange your currency locally in Mexico, where you might be out of your element and struggle to find a trusted exchange center to obtain the best rates. But you can still find a business that does this. You may lose 10% but that is not terrible because it’s better to operate with Mexican currency when in Mexico. Make sure you have plenty of small denomination notes with you, since you might need them to buy low-cost items, pay for various everyday services, and for tipping purposes while in Mexico. Before leaving for Mexico, contact your credit card provider and let them know about your trip. Credit card companies are known to decline transactions that unexpectedly take place in other countries – especially developing countries – for security reasons. So, it’s a prudent idea to notify them beforehand. You should have the following information with you at all times. 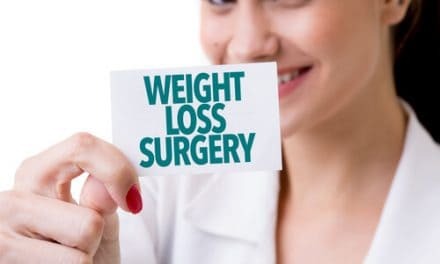 The name, address, and phone number of the weight loss surgery hospital in Mexico where you will be undergoing the surgery. The name of the Mexico bariatric surgeon who will be performing the surgery. The name, address, and phone number of the place where you are staying at. The name and phone number of your primary care physician in the US. The names and phone numbers of people in the US (family and friends) whom to contact in case of an emergency. You should write down everything in a notebook and keep it with you at all times. You may also store all the information on your phone. This is especially important if you do not speak Spanish. In case you lose your way in the local city, you can show the address to the locals, ask for directions, and make your way back to your place safely. Similarly, if there is a problem or an emergency, your companion can contact the people on your list and sort things out. You should take all your prescription medications with you along with over-the-counter medications to treat common health problems like fever, cough, diarrhea, and constipation. You should get a drug’s list reviewed by your medical tourism facilitator and make sure that you are legally allowed to take the medications with you to Mexico. If there is any narcotic or controlled substance in your list of medications, you might have to obtain a note from your physician explicitly stating that the medication is prescribed to treat a particular condition. This is particularly applicable for inject-able medications. You should preferably arrive early at the security checkpoint so that you can get all of your medications and syringes checked by the security personnel and repack everything into your luggage. A well stacked health kit is absolutely essential for anyone who is travelling to another country. It should contain the following items. All your prescription medications along with copies of prescriptions obtained from your physician or a pharmacy. Over-the-counter medications to treat fever, cough, diarrhea, acidity, constipation, and other such problems. Painkillers, antihistamines, decongestants, antibiotics, and mild sedatives. Antifungal and antibacterial lotions and creams. Thermometer, bandages, non-adhesive pads, gauze, adhesive tape, tweezers, scissors, gloves, and anesthetic spray. Small flashlight, knife (make sure this knife goes with this kit and you check this luggage – don’t take it as a carry on), and suture kits. Apart from this, you should also have insect repellents, sunscreen lotion, antibacterial hand sanitizers, and lubricating eye drops in your travel kit for Mexico bariatric surgery travel. 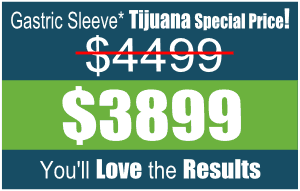 If you are planning to undergo weight loss surgery in Tijuana, Nuevo Laredo, Cancun, or another place in Mexico, you should pack two sets of clothing – loose, comfortable clothes to wear in a hospital setting, and regular clothes to wear for sightseeing and shopping purposes. Mexico is known for its hot and humid summers and cold winters. You should choose clothes that are best suited for the climatic condition in the country at the time of your trip. Mexican food can be quite spicy compared to what you normally eat in the US. So, traveler’s diarrhea is a very real risk which you need to prepare for. Your travel kit should include medications for diarrhea and acidity – the two most common problems that people develop when they eat overly spicy food. You should also avoid street food to the extent possible (but tamales sold on the street are delicious and come in a variety of flavors). As irresistible as the tacos might be, you should stick to eating at well-established eateries, which your medical tourism facilitator might recommend for you. In any case, post-bariatric surgery, your nutrition and diet should be strictly in accordance with the surgeon’s recovery and care instructions for a few weeks. The edible insects in Mexico might be yummy (though only the most extreme are going to eat them – most people don’t), but the inedible ones are known for their nasty bite. 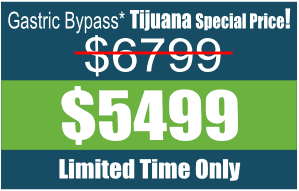 If you are going away for a weight loss surgery in Tijuana, Mexico, the last thing you want to do is to contract malaria or any other disease due to an insect bite. So you should have insect repellent (containing 30% – 50% DEET) with you but this is something you can buy once you are in Mexico. You will probably not be able to carry this on the plane with you. Pack a few towels, robes, pillows, bed linens, and slippers for your trip to Mexico. In some cases, the level of comfort at your place of stay in Mexico might be different from the level of comfort you are used to at home. What someone else may consider adequate in terms of amenities might be inadequate for you. So if you take some regular use items from your home with you, there is no need for you to worry about the level of comfort offered by the hotel or any other place that you may stay at. If it is feasible, bringing a travel companion along with you is always a good when you are undergoing weight loss surgery in Mexico. The person can keep you company throughout the length of your stay and assist you during the post-operative recovery period. It helps to have someone whom you know well and rely on in case of an emergency. But if you have a stellar medical tourism advisor, you can trust them to guide and assist you thoroughly for your travel, even if you are going alone for your bariatric surgery. Do not stuff your suitcase with too many clothes. Apart from a day or two of sightseeing and shopping, you are likely to spend most of your time at your place of stay and at the hospital. So focus less on your clothes and more on other, more essential items that you need for your trip. Make sure you pack your sleep mask, ear plugs, and neck pillow – the three essential items for any traveler. Your taste buds and eating habits will change after the surgery. You also need to be on a doctor-recommended diet before the surgery. So eat your favorite meals and snacks before the diet starts but watch your sugar and salt intake for many reasons. Bring extra wash clothes, underwear, and socks with you. Make sure you have your MP3 player or iPod loaded with all your favorite tracks. Put your headphones on and listen to music for some time before heading to the surgery. It is one of the easiest ways to calm your nerves and feel relaxed. If you have any questions about the procedure or any other thing for that matter, do not hesitate to contact the hospital staff. Scores of Americans undergo weight loss surgery in Mexican hospitals every year and the staff members in these hospitals are mostly bilingual. So you do not have to worry about the language barrier. The day before the surgery, follow the diet recommended by the physician, feel relaxed, and get a good night’s sleep. Bariatric surgery is a sought-after procedure in Mexico these days. In fact, it is one of the most commonly performed medical procedures for Americans outside of the US. With that said, as long as you choose the right hospital or weight loss surgery center, and take proper precautions, you have nothing to worry about. Talk to your medical tourism facilitator and check whether the hospital where you will be undergoing the procedure is accredited by the Joint Commission International (JCI) or by the General Council of Health (CSG), which is an office of the Ministry of Health in Mexico. If the hospital you choose has a JCI accreditation or a CSG accreditation, you can expect world class facilities, treatment, and care – on par with the hospitals in the US and Canada. There are several clinics in Mexico – particularly in the cities of Tijuana and Nuevo Laredo – where bariatric surgery is performed regularly for locals as well as patients from other countries. These clinics, however, may not be equipped to handle medical emergencies. 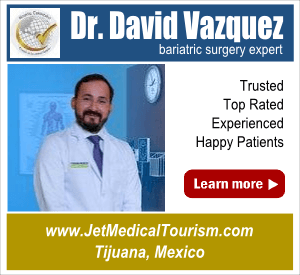 Based on this, if you decide to have your weight loss surgery in Tijuana, Mexico, you should carefully choose between a hospital and a clinic in consultation with your medical tourism advisor. Check if the hospital has an in-house team of specialists including a bariatric surgeon, anesthesiologist, cardiologist, and pulmonologist. The bariatric surgeon is the one who performs the procedure and the other specialists are only needed for two purposes – to assess you before the surgery and to treat you in case of a post-operative emergency. 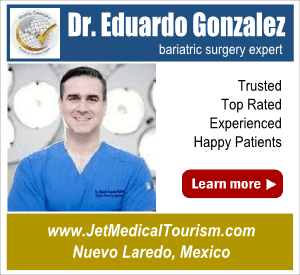 This is something you need to keep in mind while choosing a hospital for weight loss surgery in Nuevo Laredo, Mexico. Before you leave for Mexico, it may be a poignant idea to talk to the surgeon who will be performing the procedure. While it might not be possible for you to meet them in person before you reach your destination, you can talk to them via Skype or FaceTime a few days before your departure. If you have any questions or concerns regarding the procedure, you can ask the surgeon and get everything clarified. 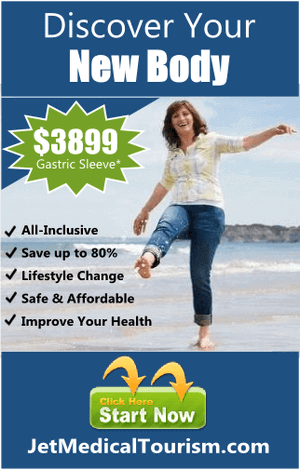 If you are satisfied with the responses of the surgeon, you can go ahead with your plan of undergoing gastric sleeve or gastric bypass surgery in Mexico. 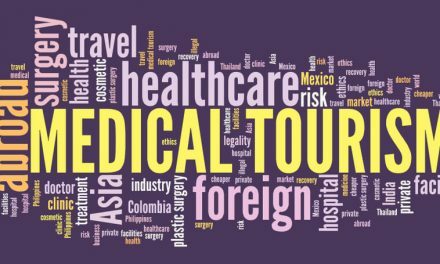 As the cost of healthcare continues to increase in the US, medical tourism has emerged as a safe and affordable alternative for many people, particularly those from mid-income households. Mexico, in particular, has emerged as a safe and convenient destination for many Americans who want to undergo bariatric surgery to get rid of obesity and overweight conditions. The best way to prepare for a weight loss surgery in Mexico is to pack everything you need and then some more. 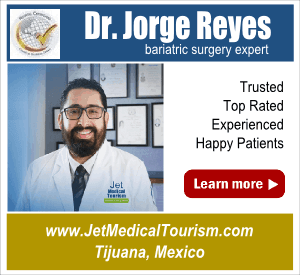 So, use this comprehensive Jet Medical Tourism Checklist to pack safely for your trip, have your bariatric procedure performed by the best surgeons in Mexico, and transform your life for the better. PreviousIs it Safe to Have Weight Loss Surgery in Mexico?